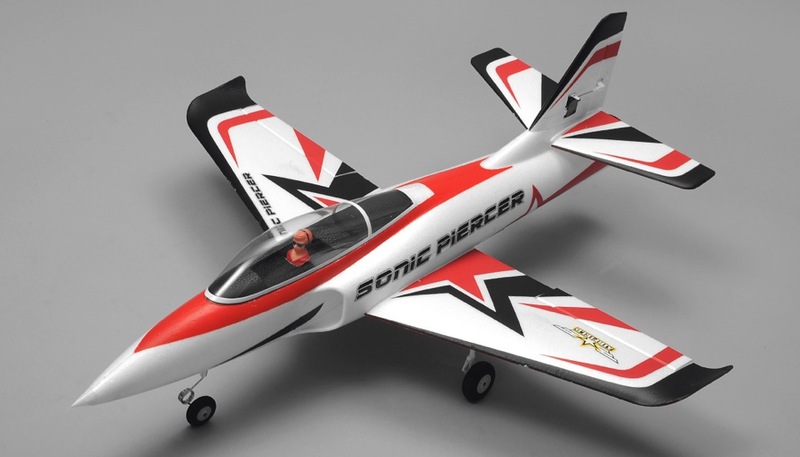 Airfield elevates the electric ducted fan jet plane to new heights with its new Sonic Piercer jet. 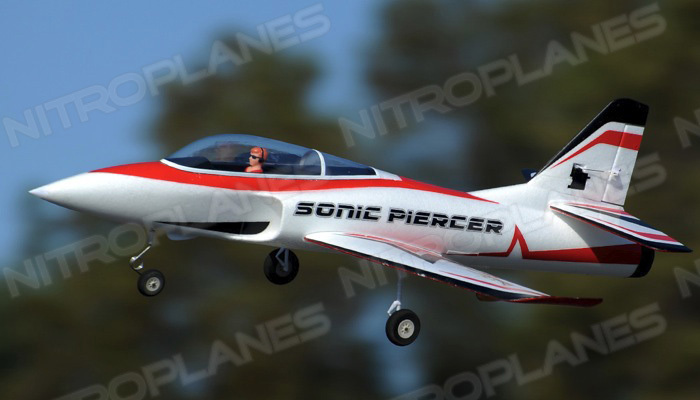 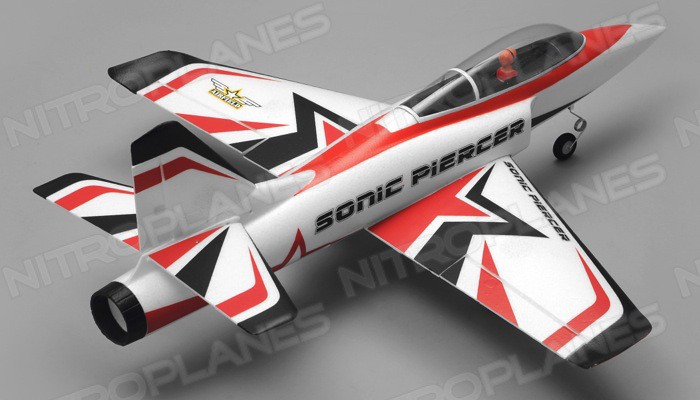 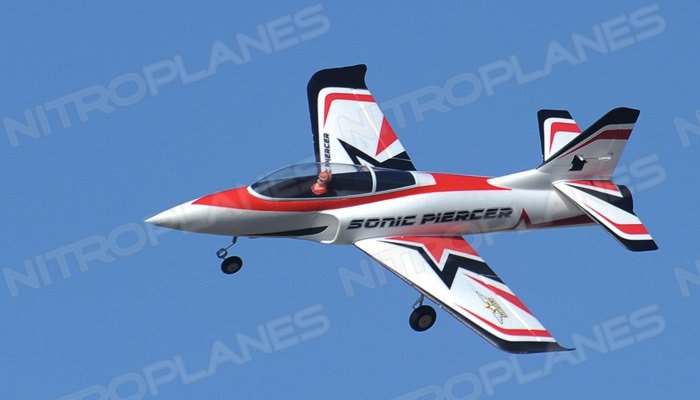 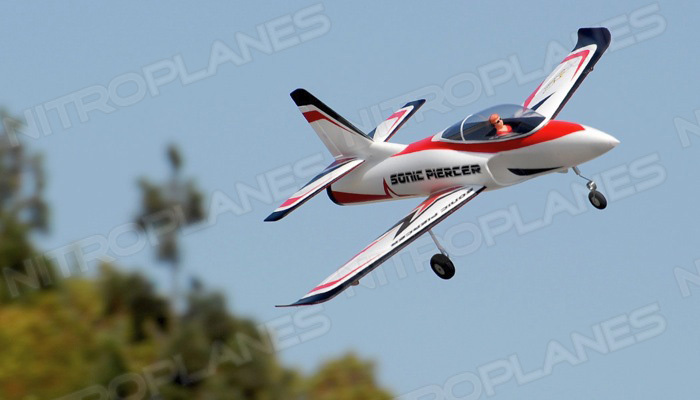 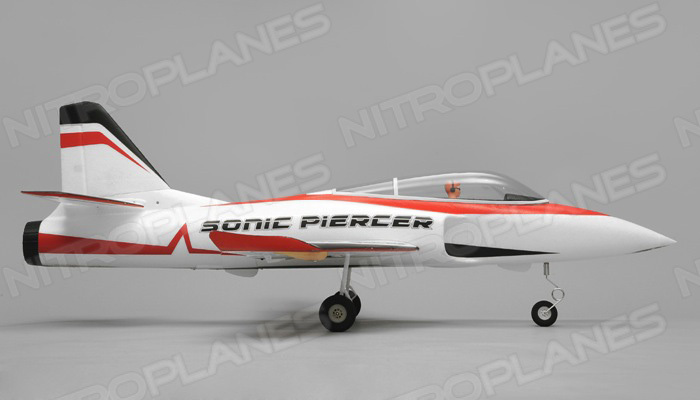 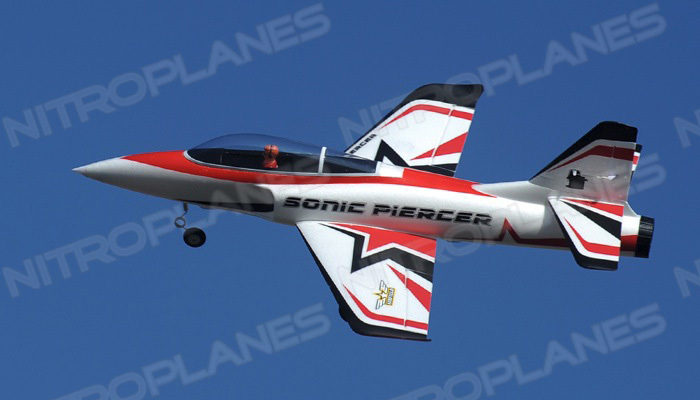 The Sonic Piercer is a 800mm wingspaned plane that stretches about 940mm. 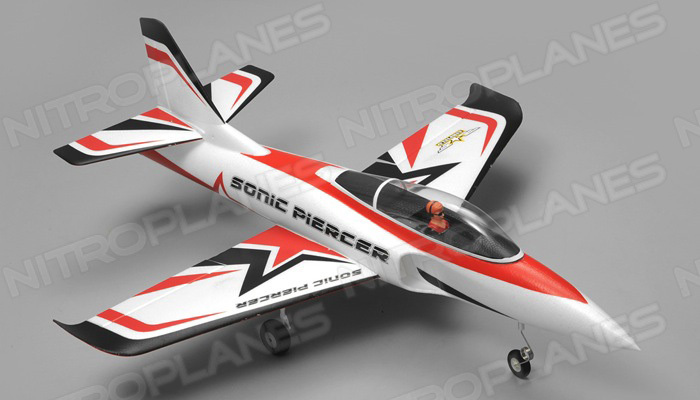 Its fuselage is designed around a 64mm electric ducted fan unit driven by a screaming 3850Kv motor. 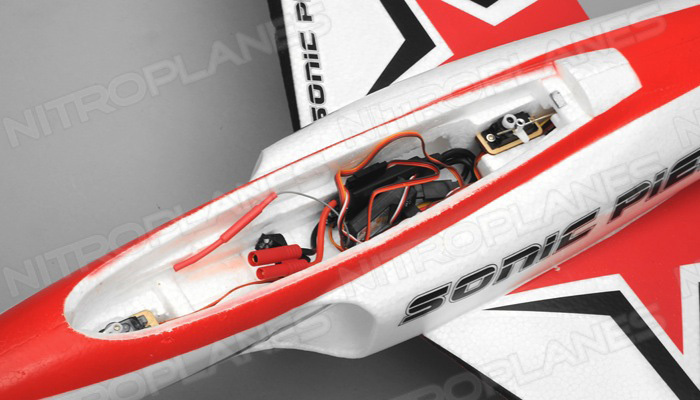 Airfield took its foam engineering expertise and developed efficient intake and exhaust ducting allowing this potent combo to produce large amounts of thrust when powered with a 11.1v 2200mah battery. 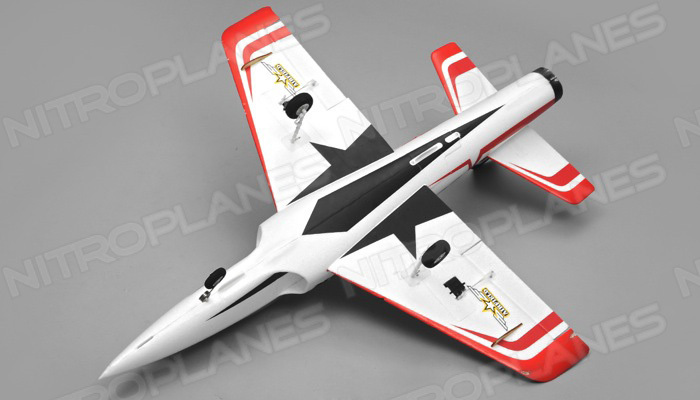 The result is a compact sport electric ducted fan jet plane with exhilarating performance and speed. 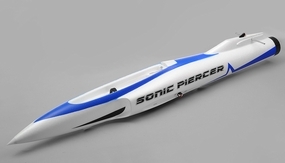 The Sonic Piercer possesses a level of fit and finish that is every bit as impressive as its performance. 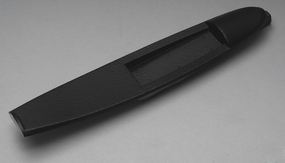 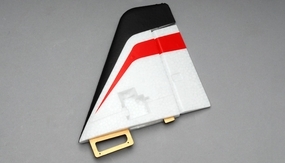 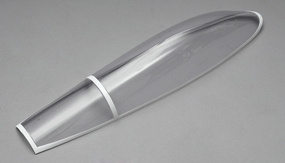 Quality EPO foam construction allows the entire skin of the plane to be smooth and slick. 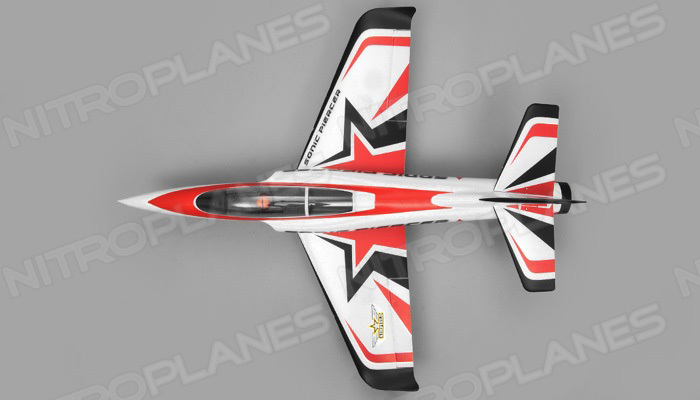 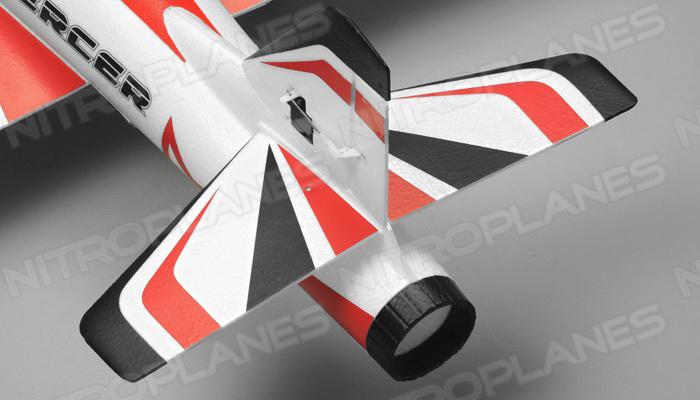 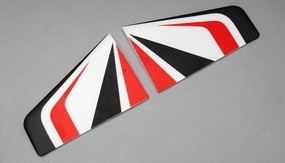 The sleek fuselage comes with decals pre-installed making build time much faster. 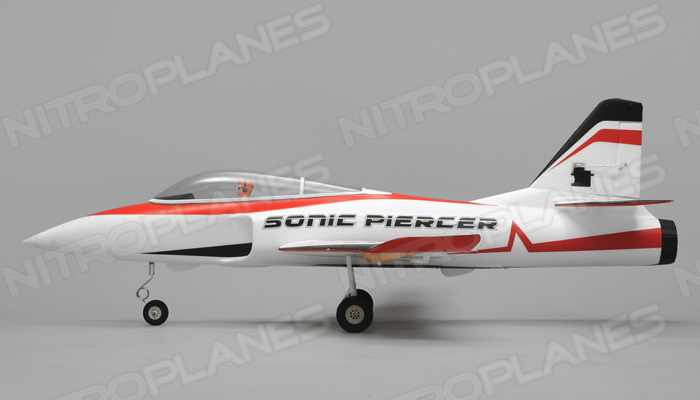 The wings are semi symmetrical and have winglets designed into the tips for extra stability in turns. 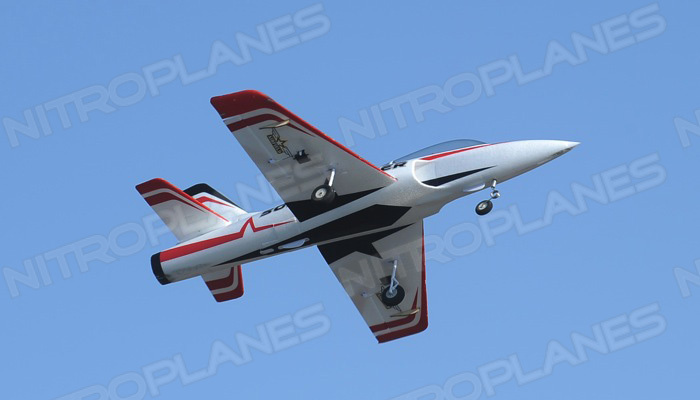 The plane also features a working rudder to get that nose up during moderate to slow speed banked turns. 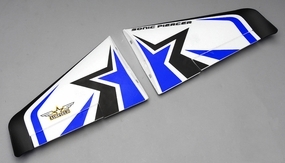 The wings are reinforced with a carbon spar and has built it balsa sliders underneath to protect the servos if you just happen to have a sketchy landing. 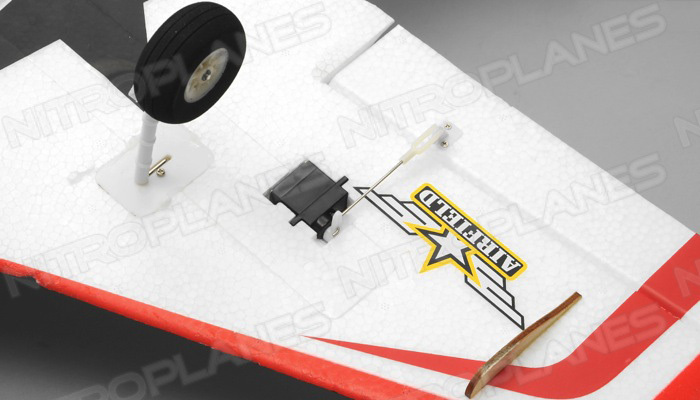 The wings are also attached via magnets to make transporting that much easier. The elevator is a full movement horizontal stabilizer giving it excellent elevator authority at high speeds. 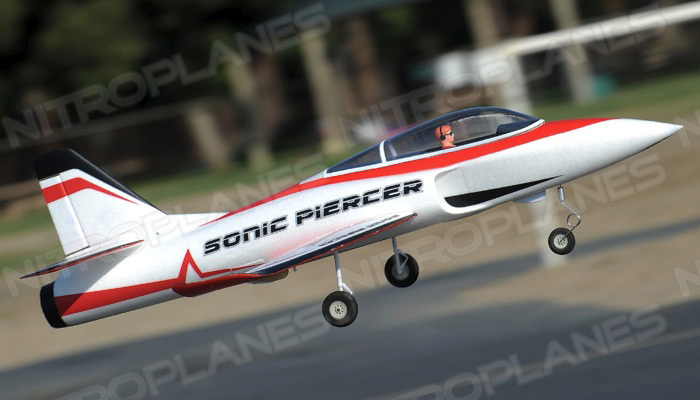 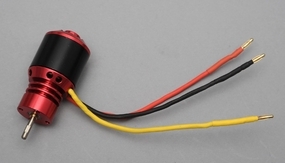 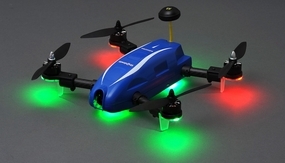 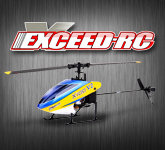 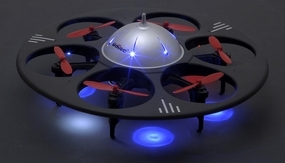 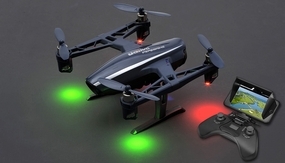 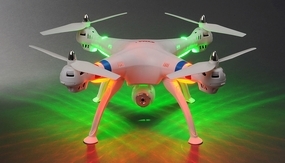 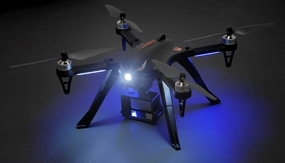 The control surfaces are delegated by five precise 9 gram servos. 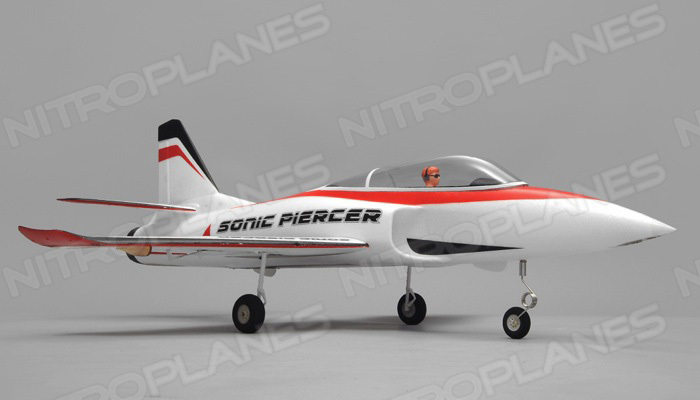 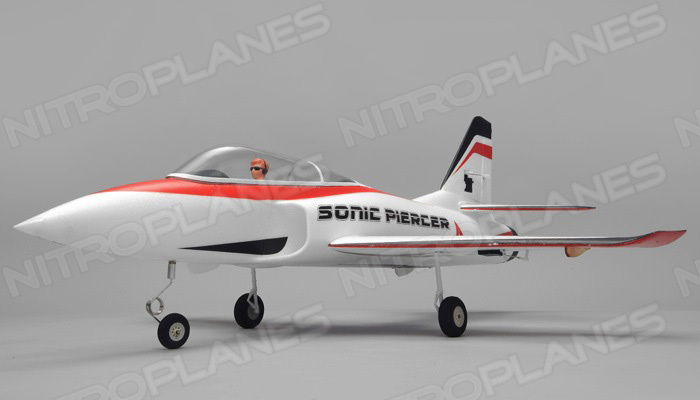 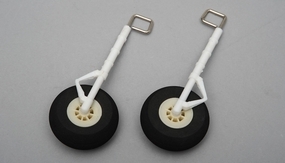 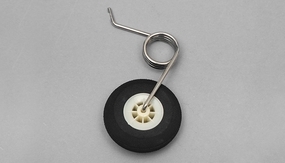 The Sonic Piercer also has a steerable nose wheel to make strip maneuvers easy and convenient. 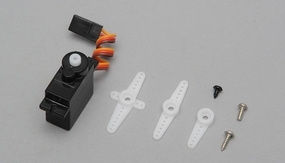 Other features that make this plane easy to work on are a removable hatch giving access to all servos and battery compartment. 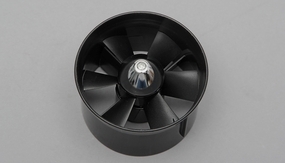 The ducted fan unit also features a removable hatch allowing quick and easy access, should the fan unit need to be serviced. 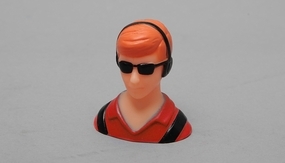 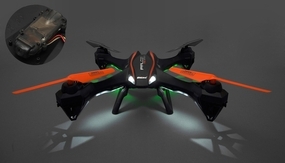 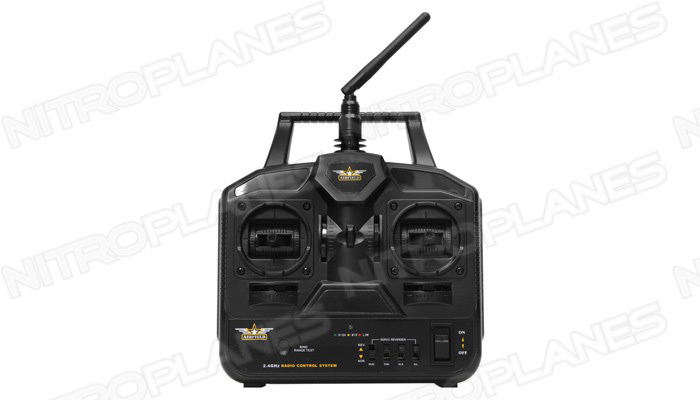 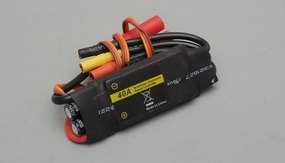 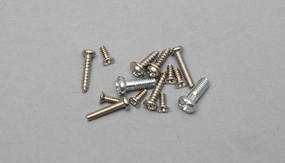 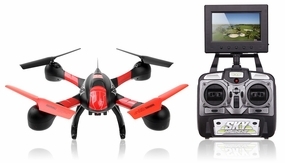 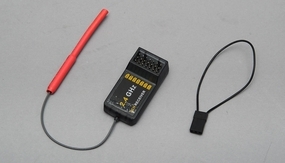 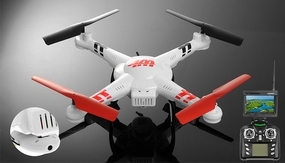 This ready to fly version comes with all the electronics pre-installed from the factory. 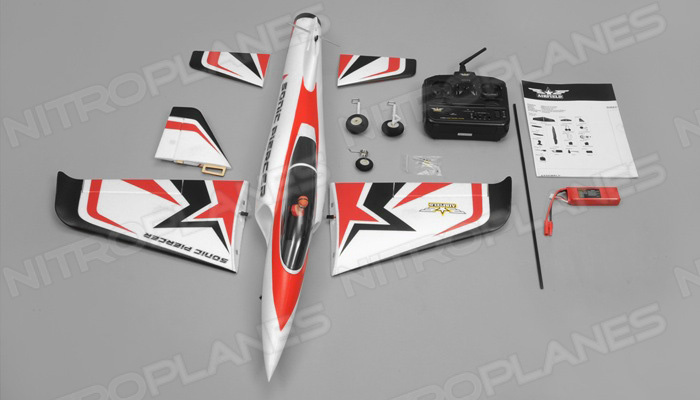 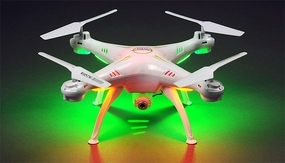 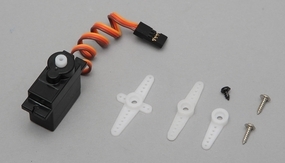 Assemble the wings and stabilizers, plug in the servos, set the control surface throws and you are ready for flight.